Santa Ana, California (Spanish for “Saint Anne”) is the county seat and second most populated city in Orange County, California. The United States Census Bureau calculated its 2011 population at 329,427, making Santa Ana the 57th most-populated city in the United States. Santa Ana, located in Southern California, alongside to the Santa Ana River, about 10 miles (16 km) from the California coast. 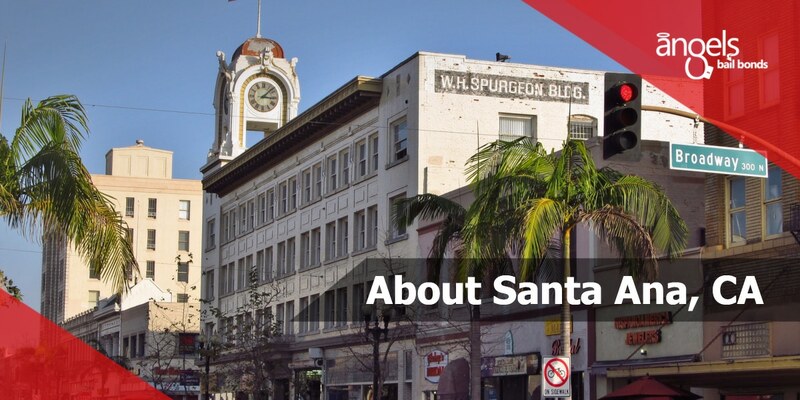 Founded in 1869, Santa Ana shares its name with the Santa Ana Freeway (I-5), which runs through the city. It also lends its name to the neighboring Santa Ana Mountains, and the Santa Ana winds, which have fueled seasonal wildfires throughout Southern California. After the 1769 voyage of Gaspar de Portolá out of Mexico City, back then, Friar Junípero Serra named the area Vallejo de Santa Ana. On November 1, 1776, Mission San Juan Capistrano established within this the valley. The Santa Ana Valley covered most of what is now Orange County. In 1810, year of the origin of the war of Mexican Independence (1810–1821), Jose Antonio Yorba, a sergeant of the Spanish troops, was granted a piece of land that he called Rancho Santiago de Santa Ana. Yorba’s rancho held the lands where the cities of Olive, Yorba Linda, Orange, Irvine, Villa Park, Tustin, Costa Mesa, Santa Ana, and El Modena, and Santa Ana Heights, are today. This rancho was the only land granted in Orange County under Spanish Rule. After the Mexican-American war came to an end in 1848, Alta California became part of the United States, and American settlers landed in this area. 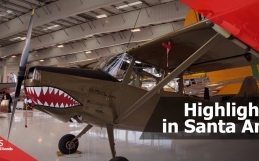 During World War II, the government established the Santa Ana Army Air Base as a preparation facility for the Army Air Forces. This base was liable for continued population growth in Santa Ana as many veterans moved to this area to raise their families after the end of the war. Fashion Square Mall was built in 1958, appending the existing Bullock’s Department Store building constructed in 1954. It opened north of downtown and grew into a major retail market for the area. In 1987, the mall was completely renewed and became MainPlace Mall (now Westfield MainPlace). 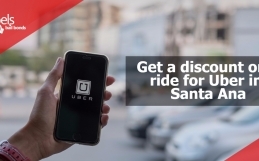 Now fully extended, Santa Ana has several distinct districts. The roots of the city are in the downtown area, which holds both commerce and housing, also the Santa Ana Civic Center, a big campus of official buildings for the city and the county of Orange. The civic center also contains the Ronald Reagan Federal Building and Courthouse. We can find plenty of historic homes dating from the late 1800s as well, and their maintenance is a critical issue since the development of the downtown area continues. North of downtown is “Midtown” district on Main St., home to entertainment locations such as MainPlace Mall, the Bowers Museum as well as the Discovery Science Center. Close to the intersection of the Santa Ana Freeway and the Costa Mesa Freeway is the newly named “Metro East” area, which the city council has planned as a secondary mixed-use growing district. Currently, the area contains several office towers. Also on the east side of the city is the Santa Ana Zoo, important for its collection of monkeys and different species from South and Central America. The southeast end of the city is part of the South Coast Metro area, conjoined with the city of Costa Mesa. South Coast Plaza, a significant shopping center, is the principal destination of this area, which also holds several high-rise offices and apartments. Yokohama Tire Corporation’s United States headquarters, located at 1 MacArthur Place in the South Coast Metro section of Santa Ana, and Banc of California’s base relocated from neighboring Irvine to 3 MacArthur Place, Santa Ana, in 2016. 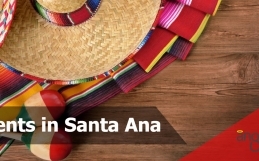 Santa Ana experiences a hot semi-arid climate, with hot, dry summers and mild winters with moderate rainfall. The summer months, June to September hold a daytime highest of 83 °F (28.3 °C) and a nighttime lowest of 63 °F (17.2 °C). During winter months, December to March average a daytime highest of 70 °F (21.1 °C) and a nighttime lowest of 48 °F (8.9 °C). Rainfall averages around 13.6 in (345 mm) per year, most of which happens from November through April. There is an average of 36 days with measurable precipitation annually.